While marketers are great at collecting massive amounts of data, it is hard to turn this information into effective campaigns. Email marketers are not data analysts, but go tell that to the CMO. They need to crunch numbers in real time to stay competitive. When selecting an ESP, marketers should look for a provider that has accessible data. But what does that mean? Email marketers collect a ton of data these days. Turning these into strategic insights point is a major challenge. Talk to any marketer and you will hear the same story. They want to use their data to get smarter and improve targeting, but it’s easier said than done. Marketers often find themselves staring at rows and rows of numbers in spreadsheets, trying to find the signal in the noise. When selecting an ESP, marketers should look for a provider that has accessible data. But what does that mean? It means data should be accessible in real-time, so marketers to analyze and use it strategically. According to eMarketer, the top priority for email marketers in 2015 is to improve segmenting and targeting. Marketers can’t do this without access to good data. The second most important priority for marketers is to use real-time data, which again is a challenge if you can’t access it. Marketers should beware of ESPs that don’t have strong functionality to access their data. 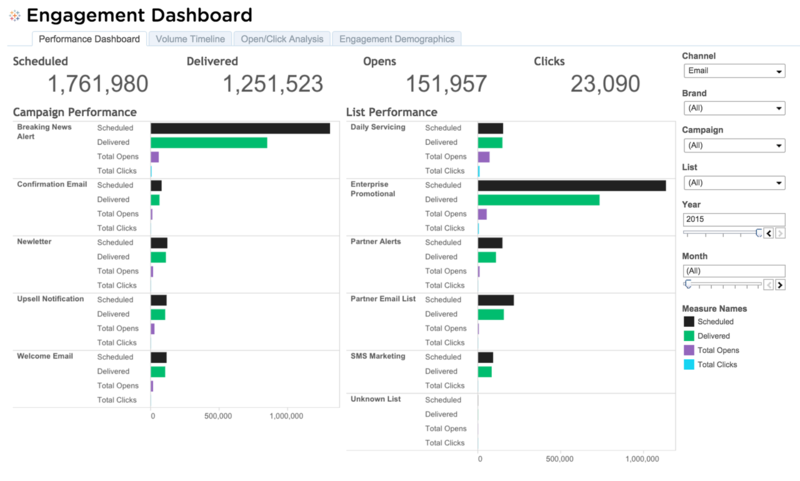 Marketers must create a multitude of reports to help them make sense of their data. Compare campaign volumes and benchmarks with competitors, understanding which days of the week, times of day, and times of the year they get the most subscribers and unsubscribes. Specific data points can help a marketer to develop a strategic point of view. And if that’s not enough to keep track of, marketers are also expected to keep up with competitive intelligence. While most email marketers know they should be doing it, it’s an arduous and time-consuming task to subscribe to every competitor’s newsletter and wait for these emails to land in the inbox. This process only allows marketers to see what their competitors are saying, not whether it works. Access to data on campaign successes among competitors would greatly help email marketers capitalize their efforts. When evaluating an ESP, marketers should look for a partner that can help synthesize data to optimize campaigns. Email marketers would benefit from the opportunity to easily understand large amounts of data in a visual presentation, both for themselves and their competitors. For instance, seeing a heat map of campaign performance that can identify open and click rates by hour, day of the week, and location can be used to further hone the campaign. Perhaps it is underperforming in one geographic region and overperforming in another. The marketer can use this data to rethink the offer or the creative in the underperforming region and improve their efforts. Or a marketer could use competitive intelligence to see what messages are resonating that they themselves may not have tried yet. Data alone is not going to make your email marketing program better; only the ability to synthesize it meaningfully will. Marketers searching for a new ESP or evaluating their existing partner should look out for tools that can help make data meaningful. These data-driven strategic insights can give email marketers the perception they need to stay competitive. For the past 5 years, Tony has led the PostUp and UnsubCentral businesses. Tony holds 20 years of management experience in the software, technology and direct marketing arena with some of the world's top global companies and technology innovators. Prior to PostUp, Tony served as Vice President of the Unicast division at Enliven Marketing Technologies. Following Enliven's merger with DG FastChannel, he remained with the company and managed the re-launch efforts for its SaaS based - rich media ad solution into the Agency Channel. Earlier in his career, Tony held senior management roles at Dell and Sony Electronics. Notably, Tony oversaw Dell's retail sales organization of more 150 locations nationally. He also was a key player as Director of Sales and Operations in the launch of Sony's first Direct Sales and Marketing business: Sony Style.